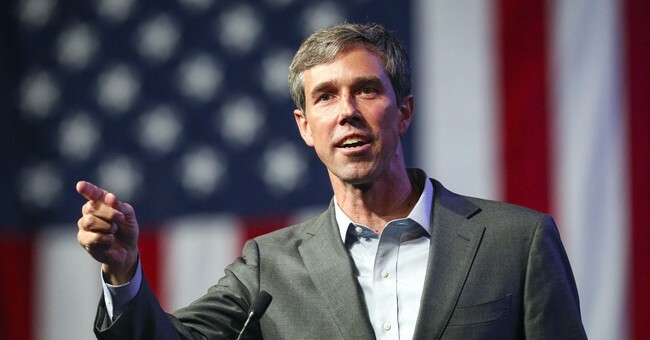 Democratic Rep. Beto O’Rourke unapologetically dropped an F-bomb during his concession speech, which was aired on live television. “I want to thank this amazing campaign of people — not a dime from a single PAC, all people, all the time, in every single part of Texas,” he said to a roaring crowd. “All of you, showing the country how you do this. MSNBC was broadcasting the speech live and was forced to apologize. "Sorry about the F-bomb," Brian Williams says on MSNBC after Beto let loose an obscenity during his concession speech. Incumbent Sen. Ted Cruz defeated O’Rourke, 50.9 percent to 48.3 percent. As Katie reported, CNN (and others) are already looking at him as a possible 2020 Democratic contender.